Danny passed away peacefully with his wife Judy by his side at their home in St. Petersburg, Florida on January 10th. He was raised on the family farm in Olathe, KS, the oldest son of Daniel and Evelyn "Tiny" Chesney. He is survived by his brother Gary and his sister Linda. During high school he met the love of his life Judy Nelson, who was by his side for 57 years. They have two sons, Scott of Lakeland, Florida and Shawn and his wife Brandi of Olathe, Kansas. They have three wonderful grandchildren, Jake, Kerrigan and Kaitlyn. Sports were always a big part of Danny's life. As a young boy he would bike seven miles twice a day to attend baseball practice. He was one of the youngest participants to play American Legion Baseball during his youth. He played basketball and was quarterback of the football team at Olathe High School. He managed the Olathe Lumberman 16-17 year old team to a third place finish in the Little League World Series. This love of sports carried over into his love of the Chiefs, Jayhawks and Royals. He had many fond memories with his family at Kaufmann Stadium and always remembered being able to attend the Super Bowl win by the Chiefs. 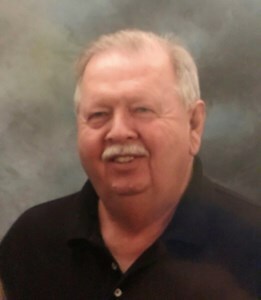 After graduating with his class of 96 from Olathe High School in 1959, Danny attended Emporia State University where he was in the Tau Kappa Epsilon Fraternity. He then began his career in the retail field working for a number of successful companies as a buyer, manager and multi-store director impacting thousands through his leadership and mentorship. He was recognized in Who's Who of American Retail and received numerous awards for his outstanding results. Dan will be cremated. Services will be held at 1pm on Saturday, January 26th at Penwell-Gabel Funeral Home in Olathe, KS. A reception and celebration of his life will follow at the funeral home from 2-4pm and the family would love to have you attend either or both services. Add your memories to the guest book of Dan Chesney. Danny was such a kind and generous person that I feel honored he was a cousin. I will miss him more than I can say. I treasure my memories of my older cousins: Danny, John Eldon, and Pat. Thanks to Danny, I also treasure phone calls shared with him over the last year. He gave me a strength to honor and treasure both life and death, which touched my spirit in ways that will be with me the rest of my life. Rather than say I loved Danny; I say I love Danny, my cousin. God bless his family.